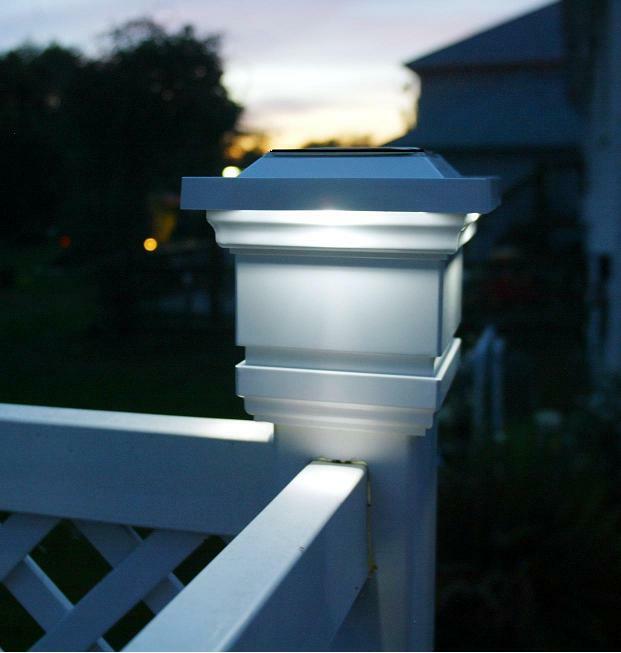 These 2 Classy Solar post cap lights will add a decorative style to your deck, patio, railing or fence during the day, then at night these solar post cap lights will cast beautiful subtle glow downward onto the outside walls of the cap and surrounding area. 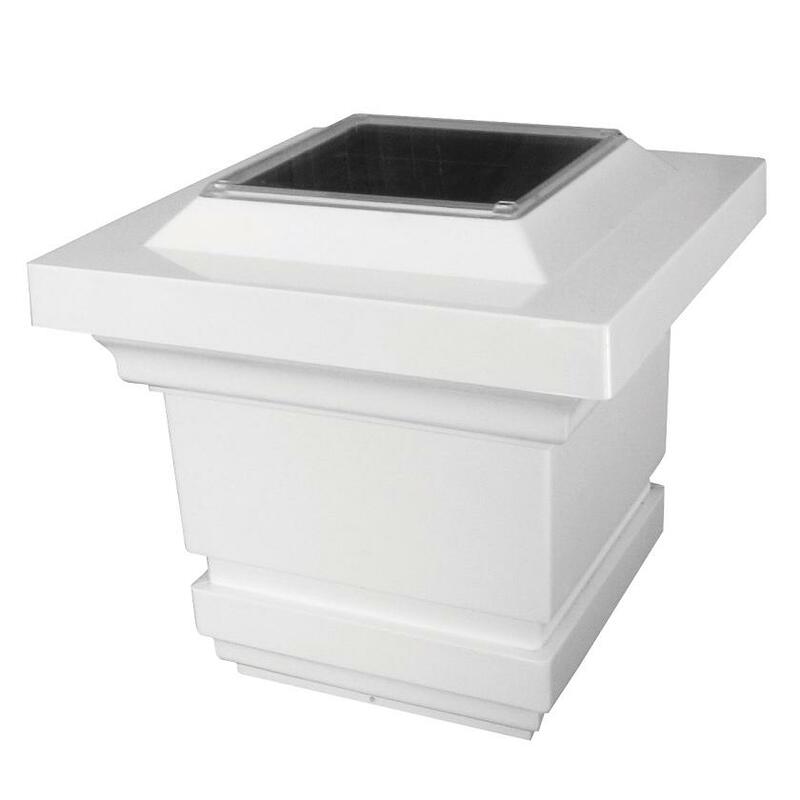 Each solar post cap light has 4 high output LED ultra-bright white lights and is powered by a mono crystalline solar panel allowing up to 12 hours of light per night. No wiring required! Solar post cap lights use daytime sunlight to recharge the batteries, so there is no cost to operate. 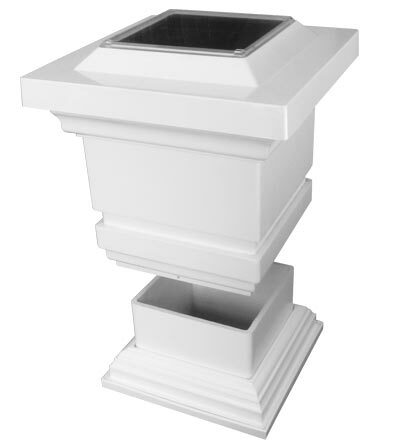 These solar post cap lights will fit over a standard 4” X 4” PVC post (Adapter for a 5”x5” PVC post is also available). Available in white or tan. Casts a beautiful white light downward onto the outside walls of the cap.